It is quite alarming that these food recalls are happening considering that we are on the advanced stage already; food manufacturers should have stressed the importance of food sanitation in their processing, and the impact of this on the consumers' health. And as a consumer, we should also be cautious of the processed foods we are buying. It's scary how much we do rely on processed foods however, right? It's like we're at the manufacturers mercy here. And it's not like Topps is a small company---they should know better. With the advent of technology, I guess we really have no choice but to rely on all these available processed foods. And we have come to be dependent on it. That's why even small scale manufacturers should be knowledgeable of the issue of food safety. Hi pyewacket, This is insane ... what next? I just don't understand why there have been so many recalls of late, and not just food items either. We can't be too careful. I do buy the frozen meat patties, but not the brand you've mentioned. We're having our recall problems here in Canada too. Thanks so much for letting everyone know. Take Care. I know what you mean. I never ever remember so many recalls as there has been just in the past two or so years. I never buy them either...never did like the taste of them when I did. As for when it will end???? who knows?? it is safer to make your own patties then froze it. atleast you know how long it can be safe to eat. Thanks for passing this on because some of us don't know about it yet. I heard about it on the news and I feel terrible about the amount of the recall because it tells me roughly how many were killed for nothing all because someone wasn't doing their job properly. What a terrible waste of life. I'm glad I don't eat much meat and none of hamberger for I don't want to be a part of this. I'm working on being a total vegetarian so I won't be any part of it at all. Just looking at the meat I get to thinking, damn, it was alive at one time and I can't eat it. Some meats I don't like and hamberger is definetely one of them along with pork. i had some of these in my freezer.it wasn't the same lot,but i pitched them anyway.why take chances? if my mother had gotten some of that,i'm sure it'd killed her (already ill). i'm about ready to stop eating cow in it's entirety. With recalls of foods in general..what IS safe anymore?? I just bought some patties last week but I don't know what brand, we take them out of the package and freeze them in baggies. It wasn't in a box though so I think we're ok. I am so sick and tired of food recalls. One more and I'm just going to go outside and eat grass from now on, lol. Cr@p you're so right, ok I'll buy some land out in the middle of nowhere and grow my own organic grass to eat. LOL, hey before you know it it would catch on and be the next Hollywood fad diet! I'll have Lindsay Lohan snorting my organic grass, lol. This is rather alarming for the US. I haven't taken much notice previously because what happens over there doesn't concern me. But it's gone way beyond what can be considered normal. What is happening? Is this food produced locally or imported? For all we are pushed to buy local product there is still a lot of importing of products..it doesn't make much sense. Especially idf those products are sub-standard. Don't you have controls in the US to stop this sort of thing before it occurs? 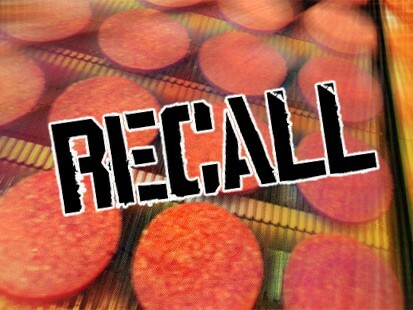 My sister had some of these in her freezer when we heard of the recall. Ugh. She and I both had the recalled peanut butter as well. I am scared to eat anything these days! Really makes you want to grow your own food, doesn't it? I heard about that. I never buy premade patties because I like to do them myself. So that's one recall I don't have to worry about! Thanks for posting the warning, though. Jeez, is it safe to eat anything anymore? This reminded me anyway to be careful about my food choices. Thanks a lot! Thisis getting to be common place. Are we just finding out about more of it, or is there actually more contamination occuring. We have a meat grinder and grind our own. I think the farther away we can stay from these kinds of things the better off we are.